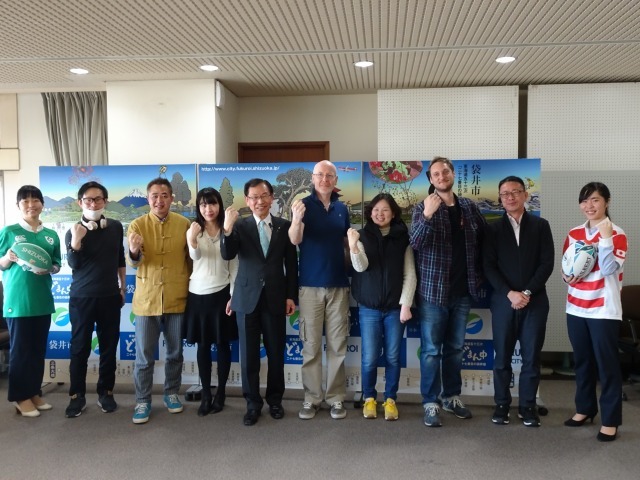 The FPCJ organized a press tour to Fukuroi, a venue for the 2019 Rugby World Cup, on March 14 to 15. This tour was sponsored by the city. Eight journalists from seven media outlets in six countries/regions (China, France, Hong Kong, Ireland, South Korea, and Taiwan) joined the tour. 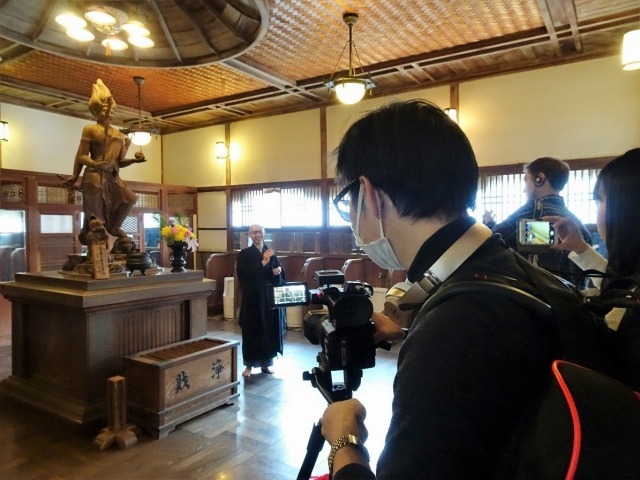 The tour covered preparations for the World Cup, the local specialty of Crown Melons, and a Zen temple offering zazen lessons and shojin ryori (Buddhist cuisine). The journalists also interviewed the mayor about the city’s goals in hosting the World Cup. *Click here for news reports by participants based on the press tour. 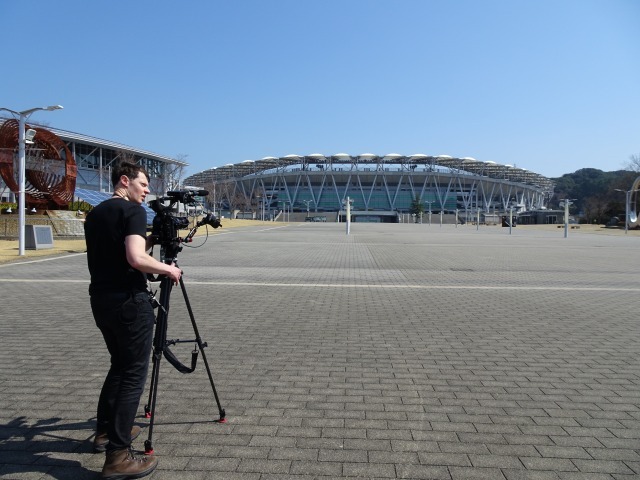 After arriving in Fukuroi from Tokyo, the journalists first headed to Shizuoka Stadium ECOPA where World Cup matches will be held. First, Mr. Kazuhiko Oyaizu, Director of the city's City Promotion Section explained the outline of the city including its population, industry and main policies. 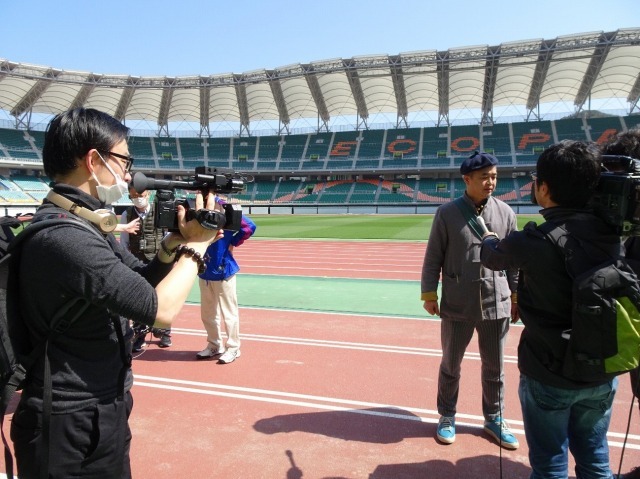 Then, guided by Mr. Chiaki Sawaki, Section Chief of the Shizuoka Prefecture Soccer Association Group ECOPA House, the journalists photographed the field, stands, and VIP room. A French journalist said that he would definitely be coming back to cover the World Cup in 2019. 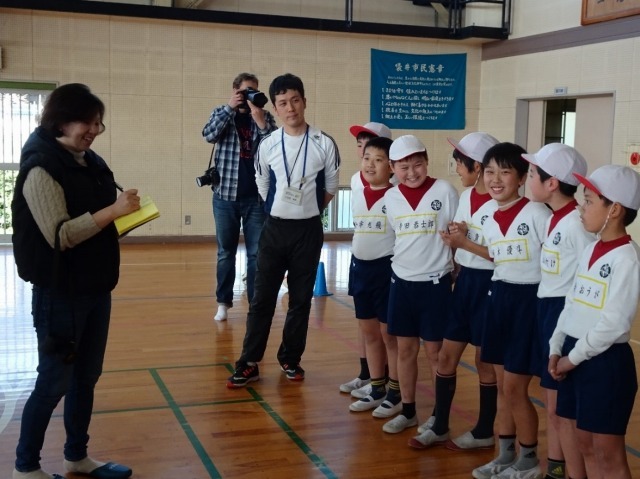 Next, the tour visited Fukuroi Kita Elementary School. As soon as the journalists arrived, the merry voices of children could be heard. Rugby lessons for children were being held to help familiarize them with rugby before the 2019 Rugby World Cup. Tag rugby is a type of rugby that people of all ages can play, with simplified rules and no violent physical contact such as tackling. 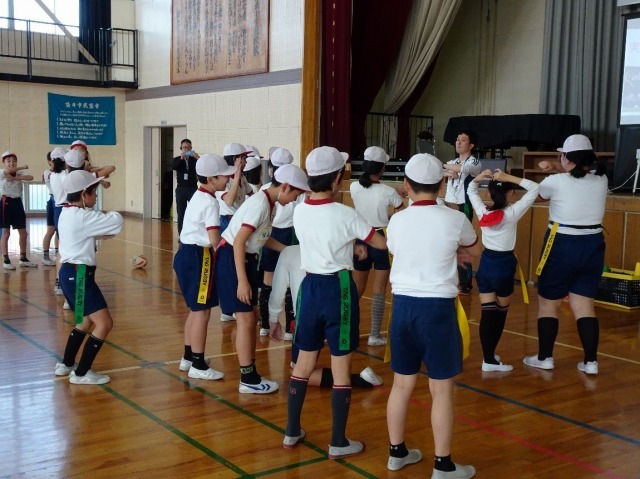 The journalists saw students energetically playing tag ruby under the instruction of their homeroom teacher and Mr. Katsuaki Ishiguro, Director of the city’s Rugby World Cup Promotion Section. In the latter half of the class, the homeroom teacher showed a video of the New Zealand national rugby team members performing a haka, a traditional Maori dance. “This class seems like a great opportunity for children to learn not only about rugby, but also about the cultures of other countries, which is wonderful,” one of the journalists commented. The last stop on day one of the tour was Yamaha Resort Katsuragi Kitanomaru. The journalists were impressed with the castle-like building using rebuilt 100-year-old traditional kominka houses. 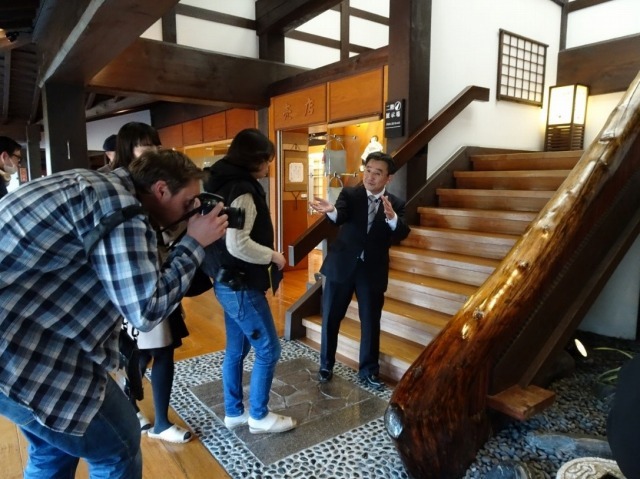 Led by Mr. Sadatoshi Ando, the journalists toured and photographed the inside and the garden of the hotel. 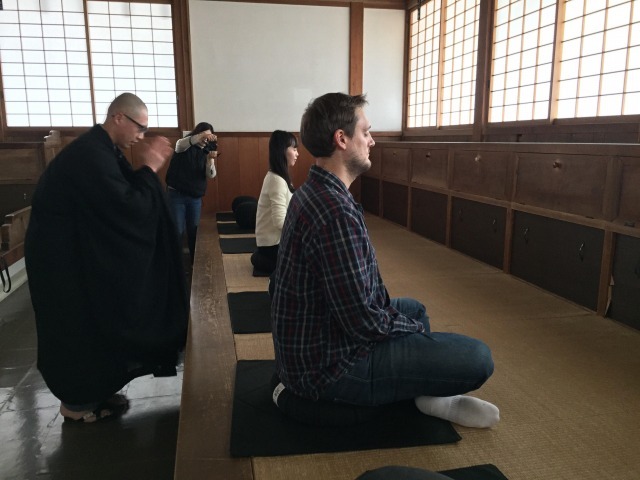 On day two of the tour, the tour visited a Zen temple, Kasuisai, a famous sight in the city. The temple is a place where many monks train, but is also known for being open to the public, including overseas visitors. 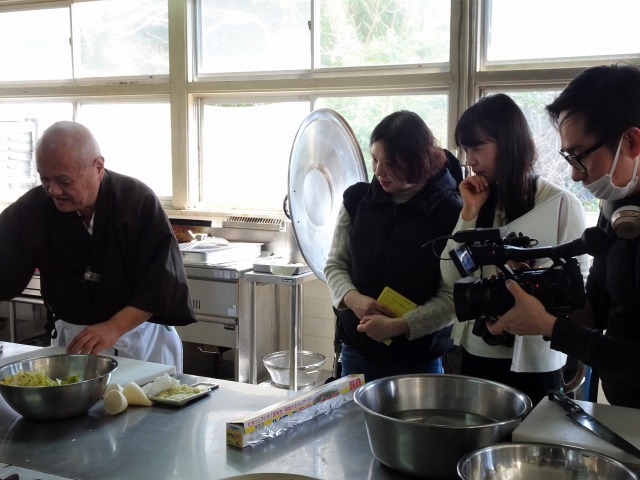 The journalists met and photographed Mr. Taigen Koganeyama, Shojin Ryori Chef. Shojin ryori is cooking based on the philosophy of Buddhism. The Korean and Chinese journalists were especially interested in the differences with temples in their countries. The temple is famous for its god of the bathroom. Kasuisai Temple was celebrating Hina-matsuri (a doll festival) at the time of the tour. It attracted many visitors, thanks to being a perfect Instagramable photo opportunity. 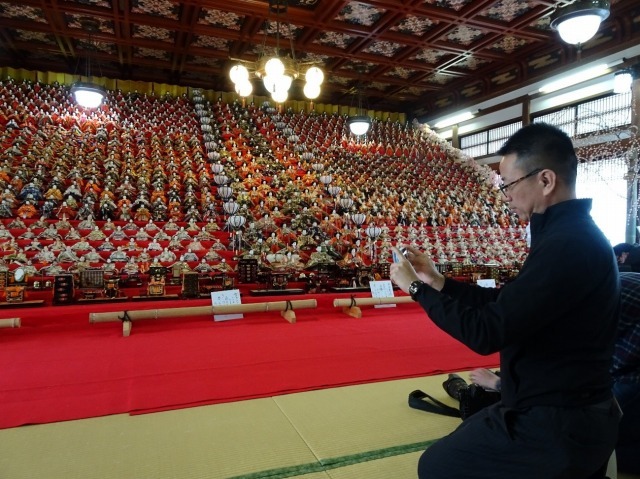 The journalists photographed the colorful 32-level display of 1,200 hina dolls. 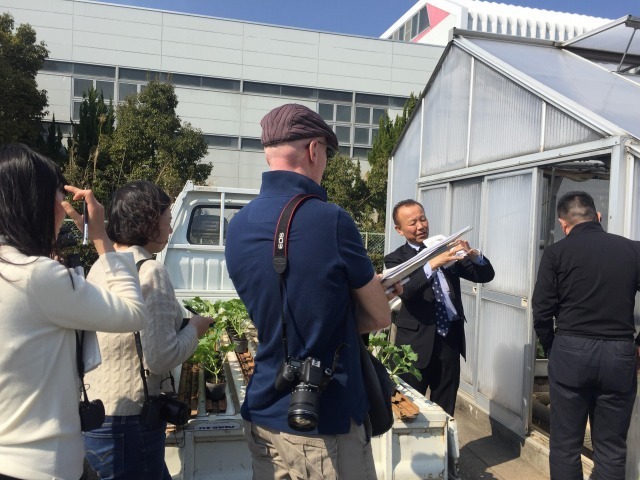 The tour visited the Shizuoka Greenhouse Farm Co-op Crown Melon Branch. Mr. Fumiyoshi Chujo, the head of the co-op and a farmer, explained their efforts to export melons to make farming more profitable for the next generation. The journalists saw the production site and learned how much energy farmers put in to grow brand melons of top quality. 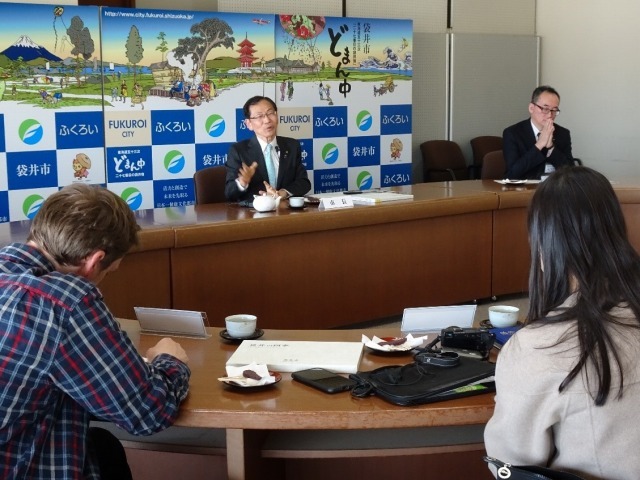 At the end of the two-day tour, the journalists interviewed Mayor Hideyuki Harada to ask about the city’s goals in hosting the World Cup. The mayor answered that the city is seeking the internationalization of its residents. The mayor hopes the next generation will be more open to the world and communicate with people from different parts of the world, through the experience of hosting the World Cup in the city. He stressed the importance of developing mindsets and local communities to live along foreign people, considering the future of Japan’s aging society. The mayor also talked about a plan to accept foreign visitors into residents’ homes. 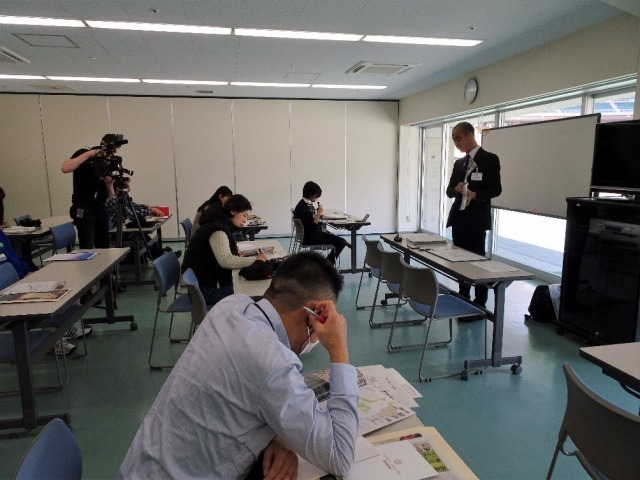 The journalists showed strong interest in his opinions, with some commenting that Fukuroi was an interesting example of a local city coping with Japan’s decreased birthrate and aging population.